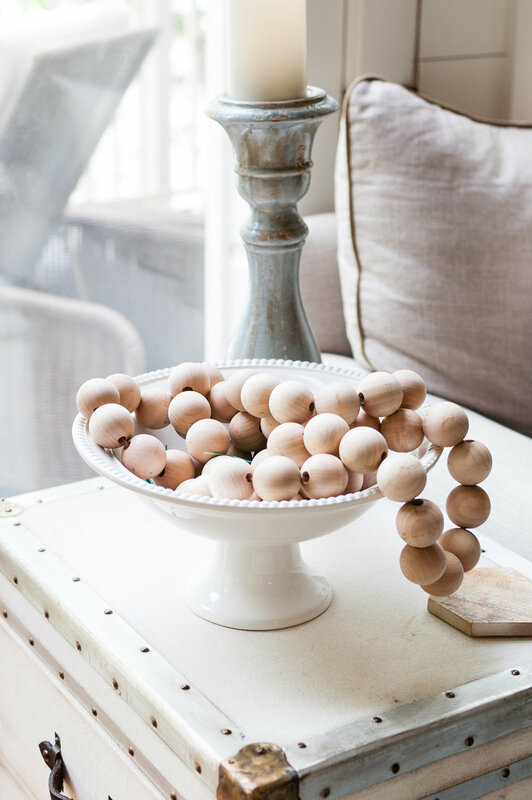 Trend alert I have been seeing wood garland pop up all over the place – mostly in styled interiors on Instagram, but most recently available at Target in their new bohemnian Spring line (I actually don’t like they version AT ALL - see below). I decided I would make my own and I couldn’t be more proud of it! 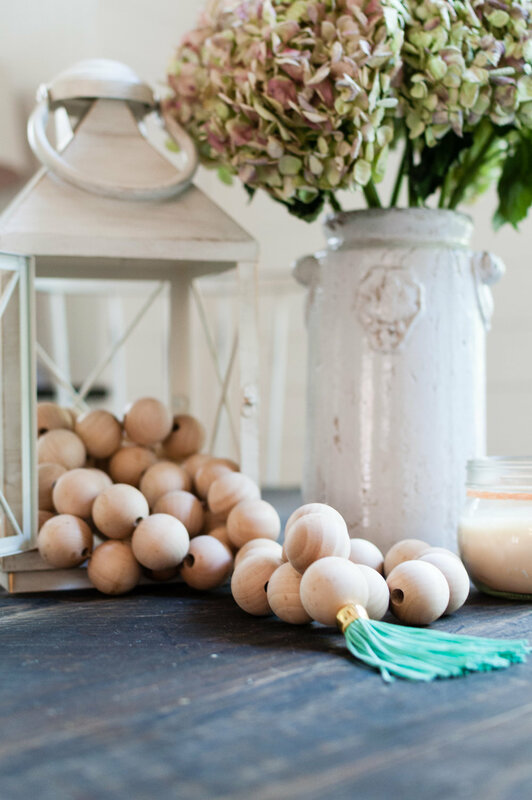 I was able to customize the size of the wooden balls, the length and the tassel ends exactly to my liking, which made it worth the little time it took to plan and put together. I purchased the birch dowel caps online thinking the hole went all the way through, only to open them and discover the hole is one sided – they are intended to be caps on a pole/rod. 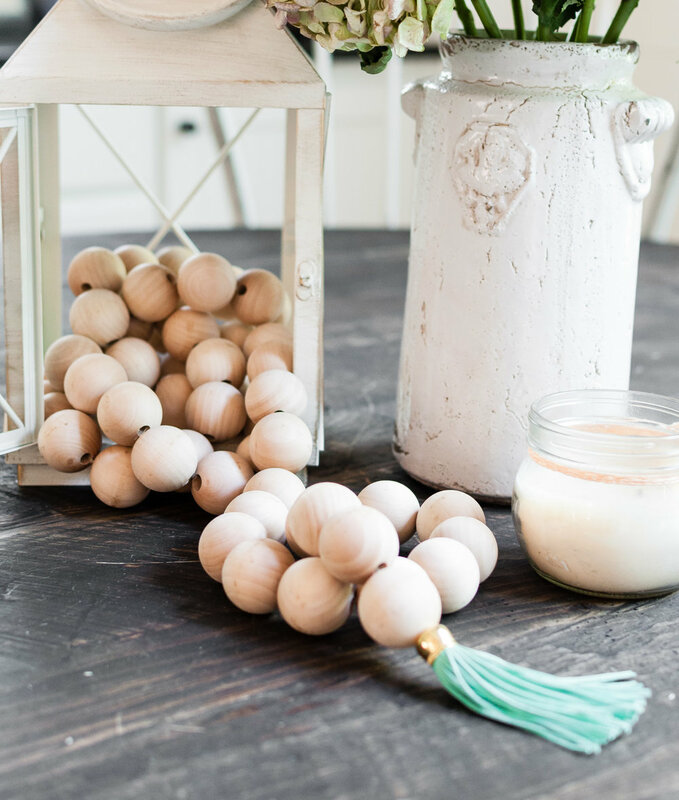 All you need is a drill, the right sized drill bit, and a sturdy vice to hold the ball to take the hole all the way through, allowing it to be strung on the rope. I also found leather tassels at Hobby Lobby (I couldn't find it online), removing the key chain to leave me with the perfect ends for the garland. I knotted it between the last two balls so that the tassel would be flush with the end - does that make sense? I tried to show it via pictures below. 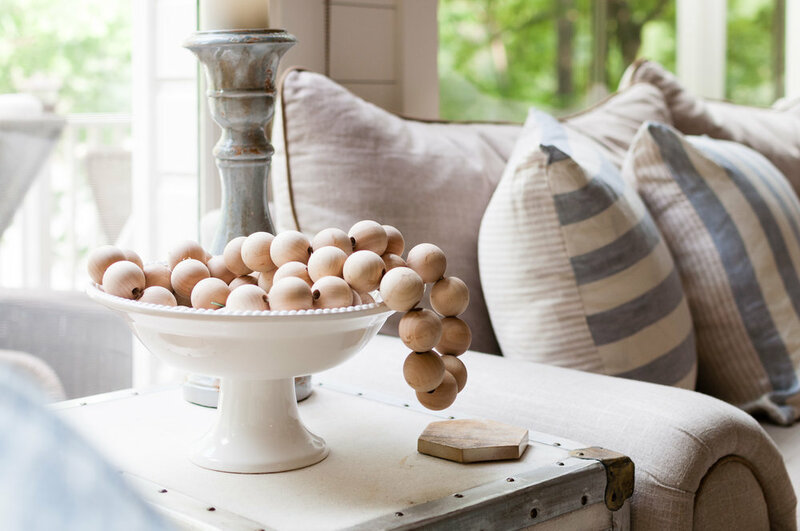 I’m so excited to find endless ways to style with the garland and I personally think it gives any vignette an effortlessly, sophisticated look.